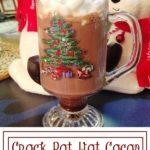 I’ve seen recipes for crock pot hot cocoa and I’ve tried lots of them. All were good, but something seemed to be missing from them. A few years ago I decided to tweak a few of the recipes, omitting some ingredients, adding some others and the latest batch I made was the absolute best yet. If it’s made it early in the day, it will ready for sipping throughout the day. It’s very rich, creamy and it’s so easy to make. Add the ingredients together, stir now and then and serve. Combine all ingredients in large crock pot. Cover and set temperature to low. Allow to heat for two hours, stirring occasionally to blend the chocolate morsels. Reduce crock pot setting to warm. 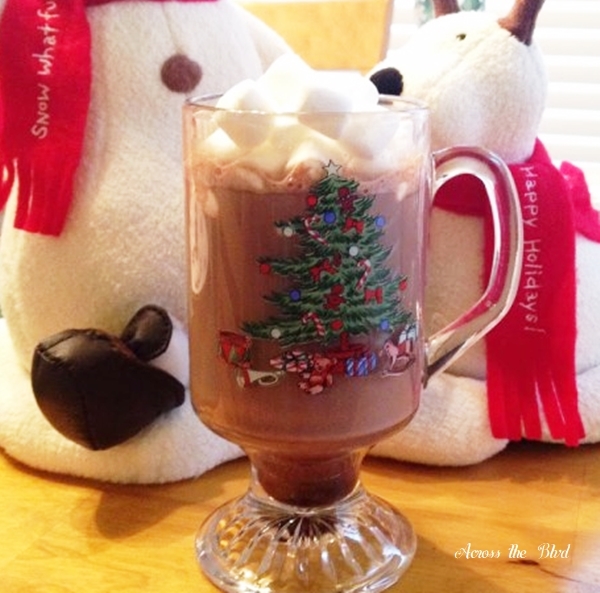 Serve topped with mini marshmallows, peppermint marshmallows, or creamed whipped topping. 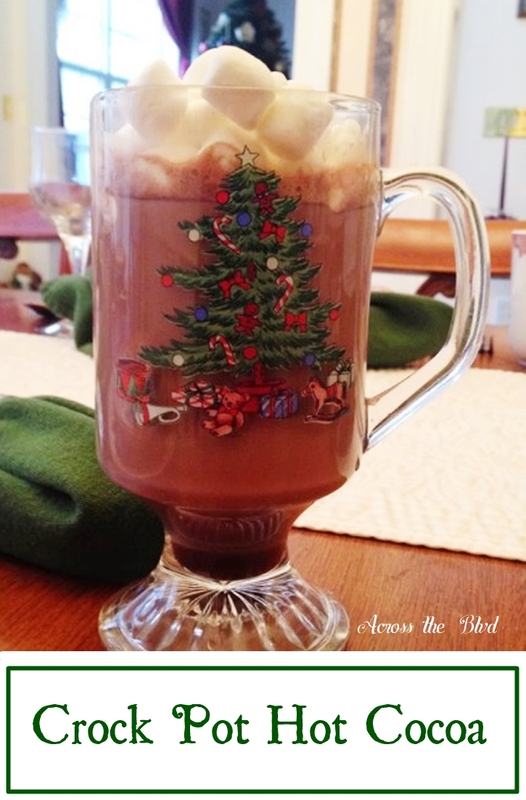 The combination of semi-sweet and dark chocolate morsels gives it an incredibly good flavor. 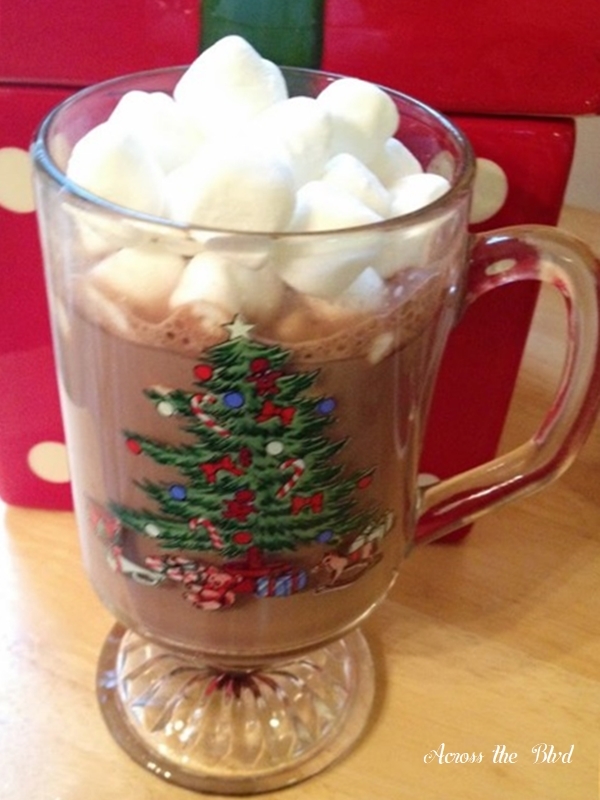 The more marshmallows the better at my house! The weather is finally cooling off enough in Charleston to enjoy this. 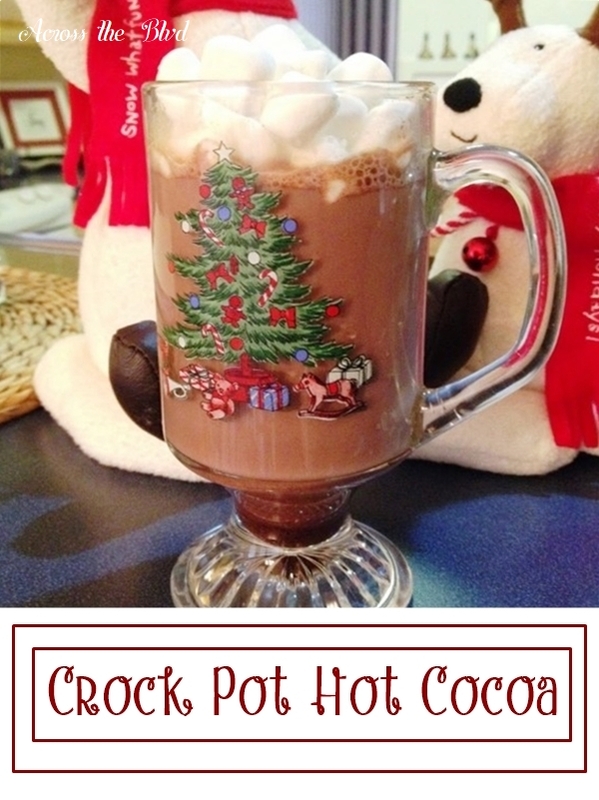 I haven’t made a batch of it yet this year, but the ingredients have all been purchased. I’m planning on having it ready for serving for our Thanksgiving guests and it’s sure to be served even more over the holidays. Thank you, Carrie. I hope you have a wonderful Thanksgiving, too! Perfect for a party!! Thanks for sharing at the What’s for Dinner party! Thanks, Helen and thanks for the party!